Igloo is a self-sufficient little community, with more services than are to be found in many a town of larger size. 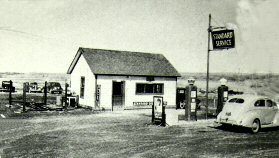 It has the largest store in this corner of the state, officially called the Trading Post, but popularly known as the "PX". 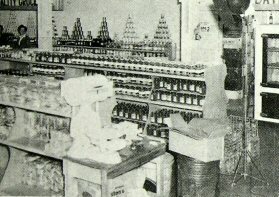 This store has three departments, a drug, clothing and grocery respectively, with a large and well patronized stock of goods. 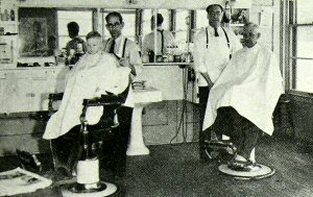 The concessionaires who own the store also operate several other services such as the Post Restaurant, a clothes pressing and cleaning shop, a shoe repair shop, barber shop and beauty parlor, and a filling station. 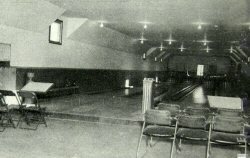 There is also an extremely well patronized bowling alley, and a theater with four changes of programs weekly. 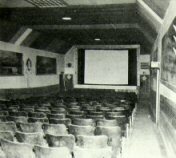 The latter has recently been taken over by the military authorities and is operated as an Army theater. 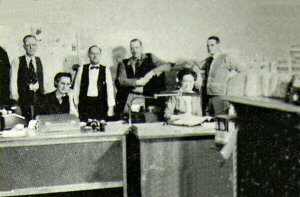 Edgemont Tribune, Nov. 10, 1948; William Palmer is new concession manager. 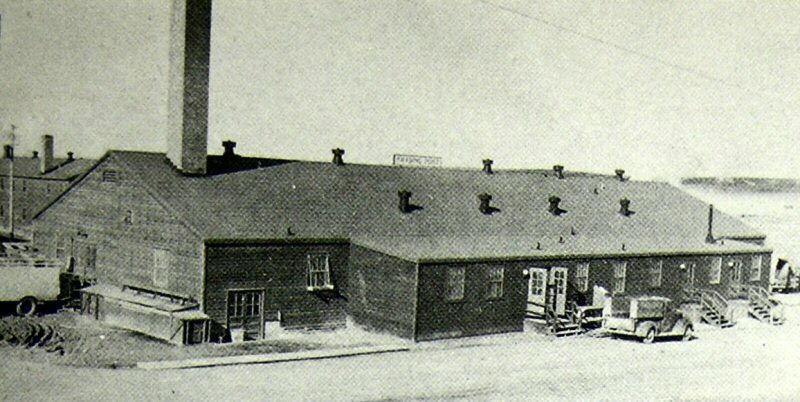 Anderson, Inc. assumed operation of concessions at BHOD in 1948. 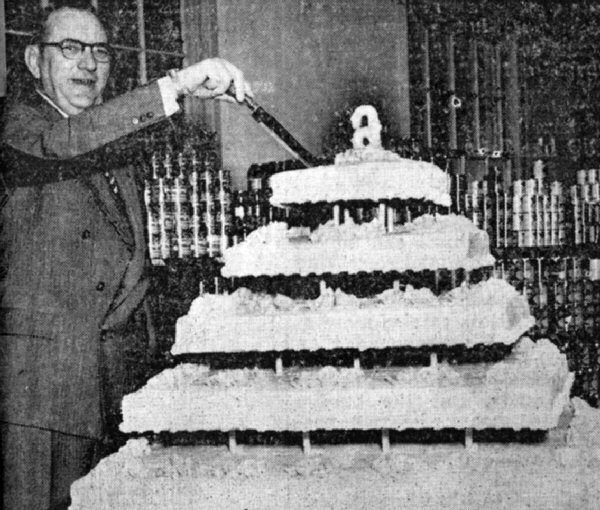 Bill Anderson, president of Anderson's Inc., is shown cutting the cake baked in honor of his sixth anniversary as prime contractor here. The celebration honoring his six years in Igloo took place December 1, 2, and 3. 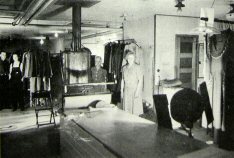 Anderson has been in the retail businees for himself since 1919. 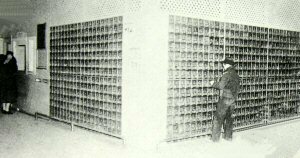 His first experience in the retail trade was as a boy in Missouri where he worked in one of the local stores. Anderson was recently successful bidder on the new prime contract let November 17. The contract provides for yearly renewals until a total of five years has elapsed since the date of the original contract. 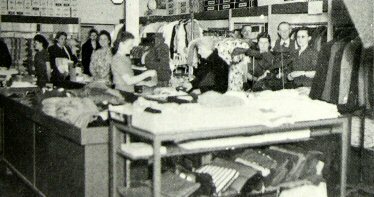 1954 Xmas ad; employees - W. J. Anderson, Mary Anderson, Perry Anderson, Delores Anderson, Judy Breen, Mark Breen, Louise Brown, Bruce Davis, Lena Gukeisen, Leland Hardman, Kenneth Henderson, Forrest Hills, Betty Jean Hipsher, Evelyn Hipsher, Thomas Hoffman, Johanna Holt, Elizabeth Imme, Joan Imme, John B. Koller, Carol Kranda, Joyous Kulbe, Martha Kusler, Cloyse Lanphear, Lilliam Martinez, Michael Martinez, David Martinez, Danny Miller, Drinville Miller, Betty McGallaird, Patrick Riley, Maurgerite Rose, Darlene Scissons, Ian Snyder, Kenneth Stuen, Helen Wing and Albert Yunko. William J. Anderson, President of Anderson's Inc., will terminate his contract for operation of the consessions at BHOD effective 17 November 1957. Bids for the operation of the following concessions at the Black Hills Ordnance Depot, Igloo, South Dakota will be accepted from 9 September until 2:00 p.m., 9 October 1957. Bids will be accepted on an item basis. 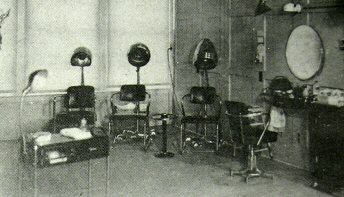 Grocery store, drug store, clothing store, theater, restaurant, beer parlor, barber shop, bowing alley and cleaning shop. Concessions may be inspected daily from 8:30 a.m., to 4:00 p.m., Monday through Friday. Complete information, bid forms and arrangements for inspection of the concessions may be obtained through Mr. Russell J. Bohart, Post Restaurant Officer, Building 2004, Igloo, S. Dak., phone 42 or 43.